Chicago has announced that it would not renew its contract with its red-light camera vendor, Redflex Traffic Systems, part of an Australian company. The decision follows shocking disclosures of how the company showered a former city official with gifts and shared information with law enforcement. Company officials gave thousands of dollars of free trips to the Super Bowl and other sporting events to former city transportation official John Bills. It will now lose a contract that generated $100 million for the company ($300 million went to the city). The details of the contract not only indicate how these cameras have been a windfall for cities but also the extraordinary profit margin given to the companies. Chicago is also the city that gave an absurd 75 year exclusive contract for parking meters in a corrupt deal under the Daley Administration. The result is that Chicagoans are now in the gripes of a company that has made parking the most expensive in the nation: soon to be $6.50 an hour. Previous the company denied the allegations publicly but has had to now admit to wrongdoing and promise steps of reform. Bills denies any wrongdoing but it is not clear if he denies accepting these trips from a contractor which would seem to most people as grossly unethical. Yet, a company executive complained of “nonreported lavish hotel accommodations” for Bills. There is also an allegation that a longtime friend of Bills was given a job that generated more than $570,000 in company commissions as a customer service representative in Chicago. I agree with Darren. But I want to know where the red light district is in Chicago. OOPS. Meant to post that last to the “Two women…” thread. Not going to take up extra bandwidth re-posting to the right thread. Dorner killed one officer and wounded another critically only minutes before the cabin caught fire. I doubt you would have found much sympathy for him while he was holed up in the cabin. As former military and LEO, this man was well trained in firearms. It is obvious they did not know what weapons he had with him, but with a decent hunting rifle and scope, he could have gotten off a kill shot at a thousand meters. That means they had to keep civilians, firefighters and EMS at least that far away. Reporters are civilians. I think they used tear gas, but a tear gas grenade has an igniter that burns at several thousand degrees to get the chemical reaction going that makes the gas. The flame is small, does not last long, but is hot enough to set a wooden building on fire if the flame was against a wood surface. They won’t harm a concrete slab floor. They put in seven “burners”; i.e., chemical reaction tear gas grenades into the building. Dorner had no intention of being taken alive. If he had, he would have surrendered instead of shooting two more officers. A friend of mine works in radio. He took the real time audio and cleaned up the background noise. You can hear the officers trying to determine if he had a safe room, such as the basement. You can hear their concern about how close the propane tanks were to the cabin. If they had cooked off and exploded, it would have compounded an already dangerous situation. They think the tear gas grenades started the fire, but it is entirely possible Dorner started it himself. The guy who holed up in a closed restaurant in Jackson, MS in 1996 had gasoline with him and burned the place himself after shooting about eight people. Here is the real time audio that Kestrel isolated from most of the static and background noise. It is a lot clearer here than on the news sites. -Captain Renault, in the movie “Casablanca”, moments before receiving his winnings. As someone who was hit by a car while crossing in a marked crosswalk with the walk light, I found the the red light cameras improved my safety and ability to get safely across the street. Drivers who run red lights or even stop signs do kill people. One of my best friends was killed in a car by a car running a red light. Unfortunately, my accident and my friend’s accident are not freak accidents. They happen every day to some American. I think the problem is Austerity. These hard working, underpaid, politicians are only human. Roundabouts or traffic circles are better for most traffic intersections both in traffic flow and safety. There are no T-bone accidents @ a roundabout..only property damage accidents, no injuries. Well, unless there’s an ambulance chaser nearby. If you look in the bigger picture…. They are civil fines…. Ok, I can live with that….. However, the insurance companies use them to increase rates as well as the civil ticket not being paid to a contractor can cause your license to be suspended….. Is that a criminal issue that happens when you drive on a suspended licenses…. My suggestion… Contest them…. The camera operator has to show up yo prove the camera was in good operational conditions at the time that the ticket was issued…. What Mike S. said. Privatization is the word used when corporations are stealing the citizens common property. Thanks for pointing out that the red light cameras cause more accidents than they prevent. They are there to make money for the city or town and the corporate entity. Does it surprise anyone that a corporate “person” would commit a crime of bribing a city official??? Which corporate person is being charged with the criminal offense??? Yet another example of the folly of privatizing governmental functions. The theorists of the libertarian and conservative concepts that taxes are evil are too blinded by their own rhetoric to understand what that really means. There are needs for certain societal functions to take place, or we live in a frontier setting of might makes right. Starve a government of overt tax revenue and it needs to make up the difference in other ways that are covert. So we see parking meters and traffic cameras, instituted to raise revenue, rather than for issues of public good. As OS points out cameras don’t prevent anything, but are merely revenue generators, that posturing politicians support because it doesn’t occur to the public that they are regressive taxes. However, if such means are to be used, one would wonder why Chicago would give the contract to a foreign firm, when an Illinois firm could do just as well? The answer of course is corruption and that is a direct result of the privatization movement as this case seems to show. Roundabouts are great, I live in Idaho now and we had the first one in the Boise are just down the road from us. They are great. And as I mentioned, I know that the cameras pose a problem. Roundabouts in Tucson would be a very large expense because of the number of intersections and the size of said intersections. So how do you convince people that roundabouts are good? Red light and speeding cameras are a post-hoc remedy. Often people do not even know they have been caught speeding until weeks later when they get a citation in the mail. Insurance research shows that after installation of red light cameras at intersections, rear end collision rates increase because people see them and slam on their brakes. Also, many jurisdictions reduce yellow light time to three seconds after installation of the cameras. That is prima facie evidence the purpose is not safety but revenue. If they want to reduce collisions, there are a number of remedies. More visible patrol cars. Passive speed calming devices such as rumble strips across the road. Traffic engineers have many tricks to reduce the risk at dangerous intersections. The only difference is that such measures do not add millions of dollars a year to municipal coffers, and some actually cost money. No doubt these cameras have problems. However. I lived in Tucson, AZ for a number of years where there is only one limited access freeway through the town but due to where most people live, is not the dominent roadway. Thus Tucson has lots of 4 lane roads with medians and a light approximately every mile. Many of these roads have speed limits of 40-45 which means people are going 50-60mph. The number of crashes at intersections where someone ran a red light was very high and the resulting death rate quite high as well. Something needs to be done with people that run red lights. I like the trend of some cities, particularly on the west coast, of dropping the cameras altogether as there is no proof that they do anything to enhance public safety. Enhance city revenues, sure, but they aren’t about safety. 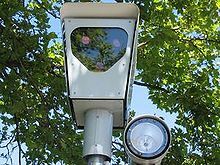 A bill has been introduced in our state legislature that red light and speed cameras have to be owned, maintained and interpreted by companies whose operations are inside the state borders. No outsourcing to anywhere. There was one guy in a neighboring county who had his truck stolen. He made a report on it which was reported in the nationwide database. The truck got a traffic light ticket in east Tennessee, IIRC it was either Knoxville or Chattanooga. The cameras are owned by a company in Arizona and all pictures are processed there. The truck was eventually found abandoned in Texas. The truck owner tried to protest the ticket, since it was the thief who ran the red light. His complaints fell on deaf ears, and was told the tickets are a civil matter and not handled by law enforcement. He was about to give up and pay the ticket to keep his driver’s license from being suspended when he enlisted help from the local sheriff. Sheriff called the police chief personally and from what I hear, was not very diplomatic. End result the ticket was dropped.